W welcome to Lodematic (Handling Systems) Ltd online. Our goal is to provide you with an insight into the benefits and functionality of our Handling System products and services. 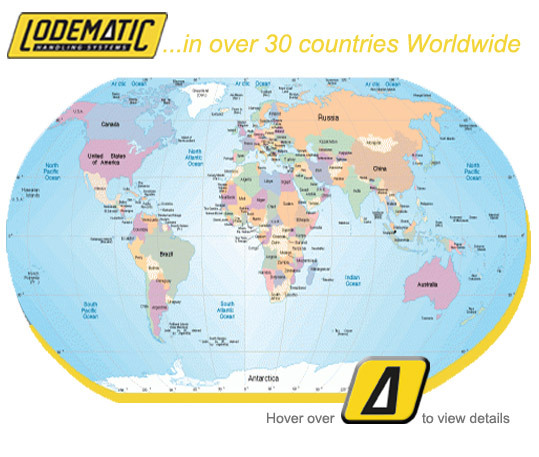 Lodematic (Handling Systems) Ltd support a wide range of industries and you can find our more about our company and our values to make it easier for you to do business with us. In 2014 we are celebrating 60 years of trade as a family business and we continue to develop new products and handling solution methods that are more resource efficient and meet the requirements of alternative production and flow processes for today and tomorrow. Today we supply bespoke handling systems to a range of manufacturing industries including: Nuclear, Mail Order, Food & Drink, Chemical, Film & Paper, Pharmaceutical, Clinical Waste, Security Waste, Construction and many more. Discover all about our products, how we build bespoke handling systems and read more about our team. Thanks for visiting and we look forward to hearing from you.